Clinic Synopsis: Our repertoire represents a living Time Capsule of our musical values. The session will examine classic band repertoire and the qualities of significant works that help define music of lasting importance. A discussion of current trends and resources will assist conductors and educators in programming and locating often ignored sources for quality music. Clinician Biographical Information M. Gregory Martin received a Bachelor of Music Education degree from Eastern Kentucky University, a Master of Music degree from James Madison University, and a Doctor of Musical Arts degree from The University of Texas at Austin. He is currently the Associate Director of Bands and Assistant Professor of Music Education at West Chester University in West Chester, PA. Formerly, Dr. Martin was Associate Director of Bands at Florida International University in Miami, FL. Prior to returning to Florida, Dr. Martin was the Assistant Director for the Longhorn Band at UT. His past public school teaching experience includes 14 years in the public school system. Dr. Martin serves extensively as a guest clinician / conductor and adjudicator throughout the United States and Puerto Rico and has published several articles, the most recent appearing in the WASBE Journal. He is a member of the CBDNA, NBA, NAfME, CMS, Phi Mu Alpha Sinfonia, Sigma Alpha Iota, Kappa Kappa Psi and Tau Beta Sigma. 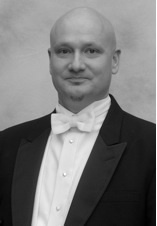 Second Clinician Biographical Information Dr. Andrew Yozviak is the Director of Bands at West Chester University. 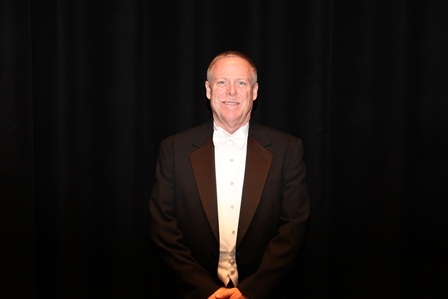 Dr. Yozviak’s primary responsibilities include conducting the Wind Ensemble and Chamber Winds, directing the Golden Rams Marching Band, and teaching graduate and undergraduate conducting classes. Dr. Yozviak has earned a B.S. in Music Education from West Chester University of Pennsylvania, a M.M. in Composition from Indiana University, Bloomington, Indiana, and a D.M.A. in Wind Conducting from Rutgers University where he studied with William Berz. Dr. Yozviak maintains a busy schedule as a guest conductor, adjudicator and clinician, regularly presenting at conferences and workshops. As a composer, Dr. Yozviak has accepted commissions to compose and arrange music in a variety of genres. He has composed commissioned works for winds, chorus, jazz ensemble, and a variety of chamber ensembles. Dr. Yozviak’s work as an arranger has yielded more than one hundred fifty marching band shows and work for NFL Films.